My research interests include abundant and uncultivated microorganisms, many of which are free-living, small cells with small genomes. When they feature a free-living lifestyle, interactions with other organisms via exchange of vitamins and other public goods might be a fundamental requirement for their existence. I study cultures and microbial community assemblages to shed light on these microbial interactions. My research interest is the interactions between pollutants and microorganisms. I currently focus on the mercury transformations by microorganisms in wetland, with special interest on mercury methylation in boreal peatlands and rice paddy soil. My research makes use of advanced analytical and molecular techniques (13C NMR, Pyrolysis GC–MS, 16S rRNA) to investigate the environmental controls of microbial metabolic activity and carbon dynamics in high latitude ecosystems. During my postdoctoral work, I´ll be working with experiments aimed at describing the fate of key carbon monomers and other labile biomolecules in freshwater lakes. Using a combination of stable isotopes, 13C NMR and carbon transformation pathways observed in transcriptomes and genomes of the heterotrophs will allow us to establish the link between the added carbon and specific end products. This project will lead to a better understanding of reactivity and origin of the DOM and the roll that microorganisms play in the global C cycle. My research focuses on Arctic sea-ice microbiology. 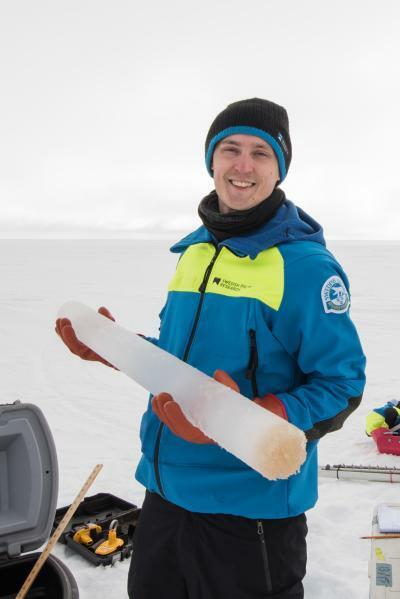 Sea ice is a unique microbial habitat with high spatial and temporal variation in salinity, temperature and nutrient concentrations. I am currently interested in the effects of anthropogenic changes (e.g. ocean acidification and global warming) on marine microalgae and bacteria. I mainly work experimentally with microbial communities and use culture systems to understand how the activity and diversity of Arctic microorganisms may change in the future. My research interests are focus on the biochemical and ecological aspects of nitrogen fixation by non-cyanobacterial community members in freshwater lakes. I am also studying functional genes and metabolic pathways underlying this process through both experimental and bioinformatics approaches. I am a microbial ecologist who works in terrestrial and freshwater ecosystems. I investigate microbial evolution and community interaction with anthropogenic and natural changes in the environment. I use and develop molecular, genetic, and computational tools to assist my investigations. On enjoyable, but unfortunately rare, occasions you might catch me out in the field collecting samples.